I'm so glad you could join me today to see a few pictures of the water garden tour we attended last Saturday. It was a blazing hot day but we took off with our water and Diet Coke to have a look at the beautiful ponds and gardens that people have created. My pictures are of gardens and flower beds as much as ponds. I just love to see the plants that people put together and the spots they choose. Here in Oklahoma we fly our university flags proudly. See the OSU whirlygig? The huge yard above belonged to an elderly couple. They still do all the work themselves. It was park like because it was just so beautiful. They had a lovely pond in the trees. Guess I didn't get a picture. This pond was huge and meandered through a large area of the yard. You know, someone commented last week that they could never participate in a pond tour because her pond is little. Truthfully, on a tour like this you see every size and shape. It's really all about meeting the nice people, sharing ideas, and visiting. Love this view. These nice people were hanging out on their porch in the shade. I took so many pictures that I'll have more to share on another day. Today I'm linking with Susan at A Southern Daydreamer for Outdoor Wednesday. 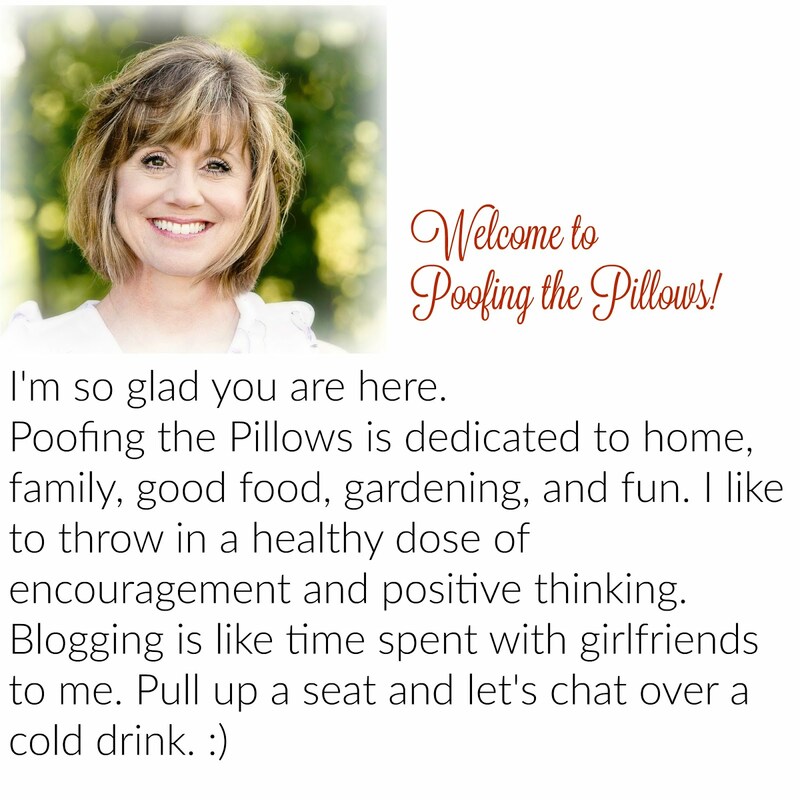 Please stop over at her blog to find many more inspiring participants. That looks like it was an awesome tour. We used to have a koi pond and waterfall years ago when we live in Naples, Fl....I miss it! Stacey, what a wonderful tour! All of your photographs are just awesome! What an amazing older couple to still do their own yard work! The beauty and love for the outdoors, I am sure keeps them young! Oh to have a pond like anyone of those...I can always dream...maybe some day! Thanks for taking us along on the tour! The yard is really beautiful Stacey. It is park like and very peaceful. Love the koi pond too. Great photos. Love the photo of the koi. We would love some in our pond, but are afraid the great blue herron or hawks will get them and they are way too expensive for that to happen. Neat idea having a pond tour. Thanks for sharing. What great photos. I would love to have those ponds. What a wonderful tour! The koi pond and lotus are really nice. The combination of the two make a pond very serene. Growing older gracefully and gardening - what can be better?! We have a pond in our backyard.My husband and our younger son built it years ago. It is small, but it looks nice and our fish thrive in it. Our grandchildren love feeding the fish and the sound of the running water when the pump is running is so soothing. I like sitting on our patio and listening to it. Looks like you saw some really pretty ones. What a nice place to wander around. we have 'koi' out in the back creek and they are huge! What a fun tour, Stacey! I love ponds and it's always fun to get ideas from others. These were all beautiful, and I look forward to seeing the rest of your pictures. What a fun tour. I admire you for getting out in the heat, but looks like it was worth it. Your garden and pond should have been on the tour. We had a pond and water fall in our last home, but couldn't talk hubby into duplicating it here. From the pictures that you have shared of your property and gardens, it seems like your home should have been on the tour. I am amazed at the time and effort these people put into their ponds and gardens. So beautiful! I LOVE these home/garden/pond tours. What beautiful gardens. I love the water features -- they are fabulous! This looks like a wonderful tour. So many pretty ponds and yards. I am inspired by the elderly couple who keep their yard looking so nice. I love these neighborhood garden tours...thanks for taking us along with you. I love this time of year when I get to sit in my chair and see the pond tour! I loved the walk through the beautiful garends with all the pretty landscaping and ponds. My boyfriend would especially like that second pic with the OU yard art. (grin) Hope you're having a wonderful summer there in OK. I'm still home in Shreveport and it is HOT and Humid, and I am enjoying it mostly indoors under the a/c and looking at your pretty pics. Thanks for letting me tag along on your garden tour*! Well you would find OU flags etc, in my yard! LOL..no ponds though..I'm too scared of frogs. I loved seeing your pictures...the last home is not far from where I live...their back porch is very recognizable!! Thanks for the tour...can't wait to see more! Thanks for sharing the garden tour! So nice of you to take a picture of that OSU spinner for me!